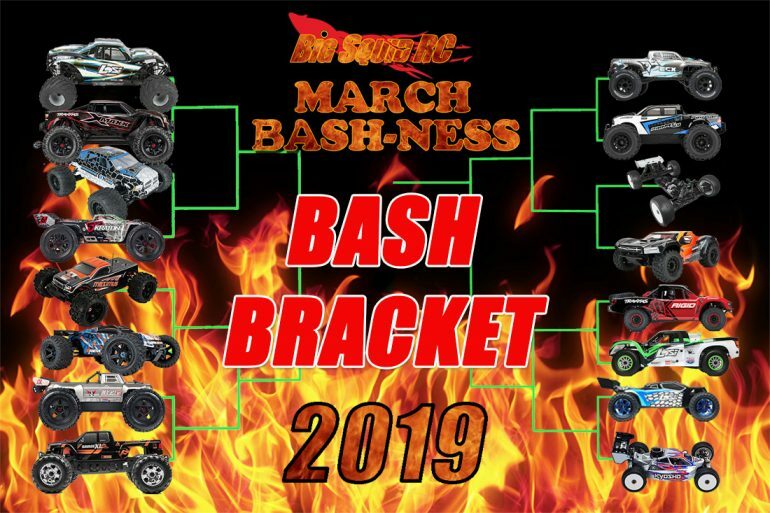 March Bash-ness 2019 – Bash Edition Round 1 « Big Squid RC – RC Car and Truck News, Reviews, Videos, and More! It has begun! March Bash-ness 2019 has officially started! Before you start voting, let us explain a few things. This is round 1 for the Bash Bracket. We had so many great vehicles suggested for both the bash side and the scale side, we decided to go with a full 16 for each. To make it a little easier on everyone, we are going to start voting with just the bash bracket side. The Scale bracket will start shortly after. This voting round will have 4 days so you have till Midnight CST Thursday March 21st, 2019, to get your votes in! As always, we WILL ban you if we catch you stuffing the ballot box. Please don’t make us do that.